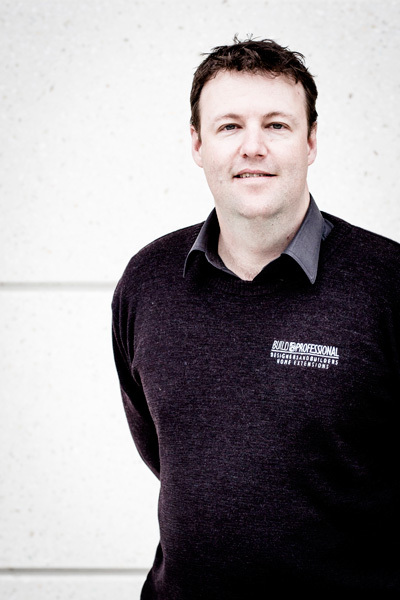 Matthew is the Director of Build Professional and is dedicated to Canberra and the residential building industry, he has travelled far and wide but remains loyal to this region. Matthew has been actively involved in the building and construction industry since 1994. 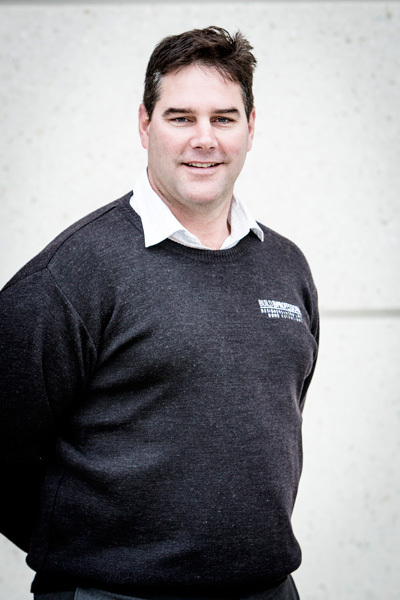 With 24 years experience in construction Matthew holds an ACT B Class a NSW C Class Builders licence. He is a Carpenter by trade and has completed studies in Certificate IV Building & Construction and an Associate Diploma in Building & Construction. Matthew has successfully managed his own small business in Canberra for the past 14 years, formerly as Hall Building Services evolving into Build Professional Pty Ltd in 2010. Matthew is a member of the Master Builders Association (MBA), Housing Industry Association (HIA) and Building Designers Association (BDA) and is recognised as a Greensmart Professional for sustainable building and a Sustainability Design Specialist. 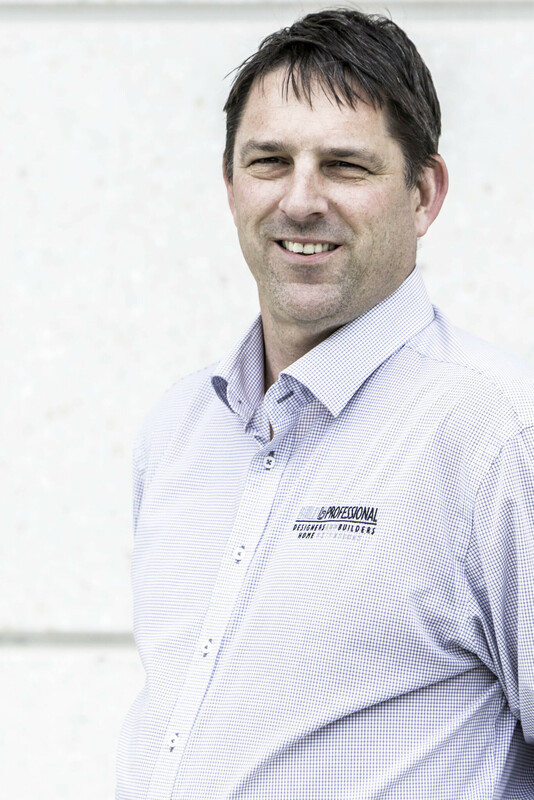 Matthew actively works with these industry associations on a professional level to ensure stability, uniformity and an integral industry – locally and nationally and is a proud member of the ACT HIA Residential Executive Committee. Matthew enjoys farming, outdoor activities and sport mainly Rugby Union. Most of his spare time is spent with his wife Sally and their three children. Matt was born in Wagga Wagga and moved to Canberra with his family in 1992. Matt started his Carpentry apprenticeship soon after leaving College and gained his qualification in 2001. He went on to obtain his C class builder’s licence in 2007 and has since gained extensive knowledge and experience in the construction industry. Matt joined the Construction and Estimating department of Build Professional in 2011. For recreation Matt enjoys 8 Ball and fishing and loves a trip to the coast when possible. Nate’s introduction to construction was almost 20 years ago when he completed his carpentry apprenticeship. He has since gained experience in the Canberra construction industry in a variety of roles, from being on the tools, to design and in management positions. To further his interest in building and architecture, Nate pursued the Advanced Diploma of Building Design. Over the past decade, he has continued to develop his drafting and design skills. Of particular interest, Nate is motivated by interesting and sustainable house design. Nate has a young family and enjoys most sports, in particular AFL football. 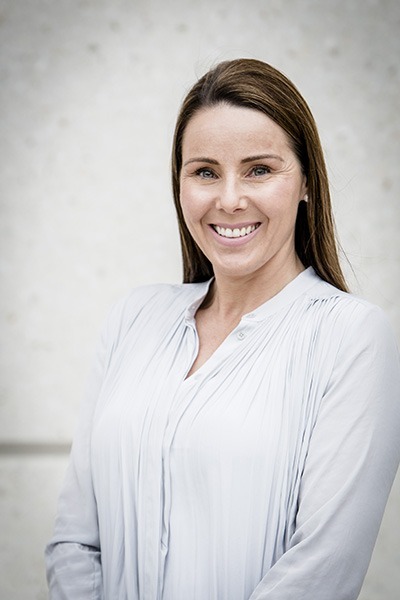 Sally’s career in office administration began with the Australian Chamber of Commerce and Industry (ACCI), she gained invaluable experience as an Executive Assistant with ACCI and continued her career with the Liberal Party of Australia, the Office of the Hon. Peter Reith MP and the Office of the Defence Attaché at the Australian Embassy Tokyo, Japan. 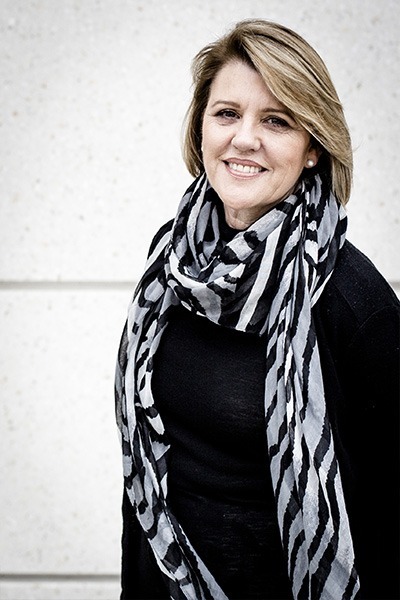 Sally is passionate about strengthening Build Professional’s brand and developing it’s reputation as Canberra’s award winning Design and Build Extension Specialist. Sally’s marketing role includes the content management of all social media platforms, MBA, HIA & BDA Housing Award Submissions and Website management. Lyn Rumble is an Interior Designer. She has a Diploma in Interior Design and Decoration from CIT. She brings an experienced eye and a sense of style to help with the all important finishing touches to the build. Lyn will help with selecting colour schemes, window treatments, tiles, lighting fixtures, carpet, artwork, paint, furniture and accessories. By providing outstanding service and using good communication techniques, Lyn will help to create a home that is a personalised expression of yourself. 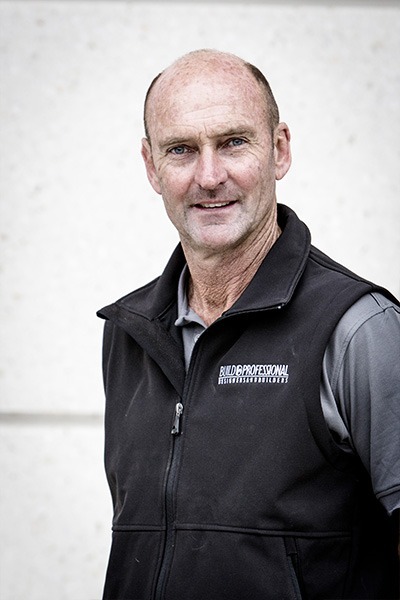 Wayne started in the construction industry in partnership with his parents in the 1980’s undertaking new house speculative building, housing developments and carrying out small building contracts for the local council in the Southern Highlands. After marrying wife Julie they acquired the Cathay Homes franchise in the Southern Highlands before becoming a supervisor to Glenwood Cottages Wollongong and Highlands regions. After opting for a sea change the young family moved to Batemans Bay where Wayne undertook numerous extension and renovation work along with assisting many owner builders to complete their projects. He formed a team of tradesmen that worked on large commercial projects in the area; they also travelled to the Snowy Mountains building accommodation. On returning to Canberra Wayne carried out maintenance work before joining the Build Professional team as a Project Manager.